VOLUMA® is the first dermal filler of its kind FDA-approved to correct age-related volume loss specifically in the cheeks. This hyaluronic acid-based filler is a clear gel injectable that instantly improves the appearance of sunken cheeks and hollowness in the mid-face to restore a smooth, youthful look. VOLUMA works to specifically address loss of subcutaneous fat in all three areas of the cheek (apex, apple, and hollow), subtly lifting the mid-face and restoring a youthful contour. Additionally, VOLUMA is comprised of hyaluronic acid, a protein that naturally occurs in your body and is gradually depleted with age. By restoring lost hyaluronic acid, VOLUMA provides your skin with moisture and softness, leaving it supple and smooth. Your VOLUMA injections will be administered by Dr. Branman or our nurse injector, Leslie Harmon, RN, BSN, CPSN, in our Little Rock cosmetic surgery office. Treatment will be quick and comfortable, as VOLUMA contains lidocaine (a mild anesthetic) to reduce any discomfort throughout the process. After evaluating your skin and listening to your concerns and goals, we will precisely inject VOLUMA using ultra fine needles to ensure proper placement of the product. Immediately after treatment, the treated area may appear temporarily fuller than desired, but this will settle quickly. You may experience slight swelling, sensitivity, or bruising around the injection sites, but this should be minimal and will resolve within a few days. You should begin seeing the benefits of treatment over the course of three to five days, and your results can last up to two years before requiring maintenance. Restore Your Youthful Appearance with VOLUMA®! 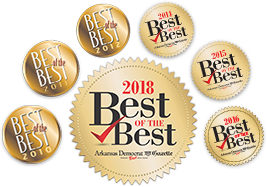 These rewards can be used as cash toward any future treatment, even in conjunction with rebates and special treatment offers from The Cosmetic Surgery of Little Rock.